I'm participating in the Black and White Sunday Blog Hop hosted by You Did What With Your Weiner, My Life in Blog Years and Dachshund Nola. Want to join the hop? Link up below! hehe! What dog doesn't want to go out when they are in and in when they are out!! That sweet face has captured a place in my heart. Happy Sunday! Thanks pal! Happy Sunday to you too! OMD he is just too stinkin' cute!!!! hee hee! We think you're adorable too! Thanks for stopping by! How much love is that doggie in the window? Too cute. I want one. I could use another playpal. Rocco would love to play and zoom with you! Thanks for stopping by! Good think he looks cute and sweet, hehe! Rocco's way too smart for his own good. Thanks pal! Rocco kisses for you! Can't wait to meet you too! Hello humans...someone needs to let that dog in!!! 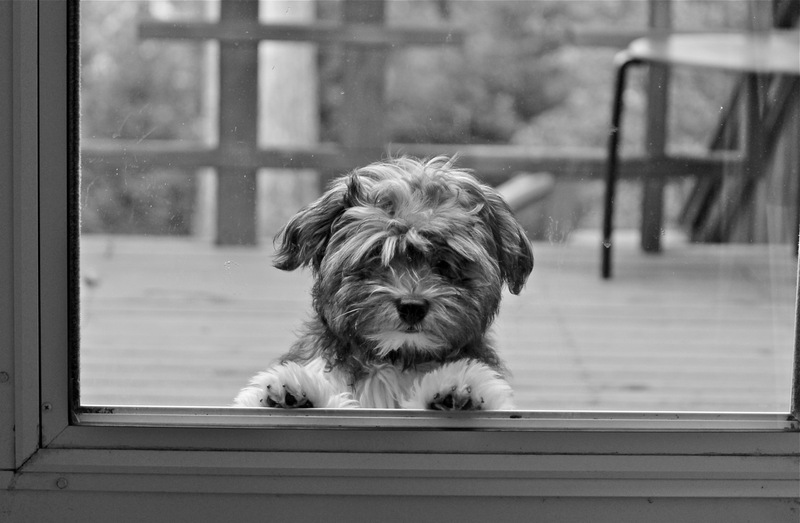 Rocco wants to be out when he's in and in when he's out! I've got a photo from the other side too!! haha! You want to go outside, pretty? Rocco ALWAYS wants to go outside! hehe! 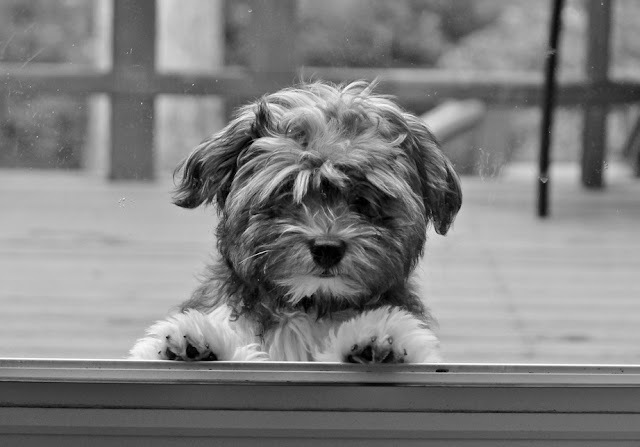 Such an adorable doggy in the window! hehe! Not for sale! Thanks for stopping by! Does that mean i can take you home? Luna and Penny would love you! Rocco would LOVE to play, and you can take him home for an afternoon! haha! Hi I've just hopped over on the blog hop. Lovely photo. Thank you! Happy B&W Sunday to you!